Home → Blog → Bands, Promotors, DJs wanted…. Fancy putting a night on at Trinity? Have a band that wants to play? Are you a DJ looking to make a crowd move? 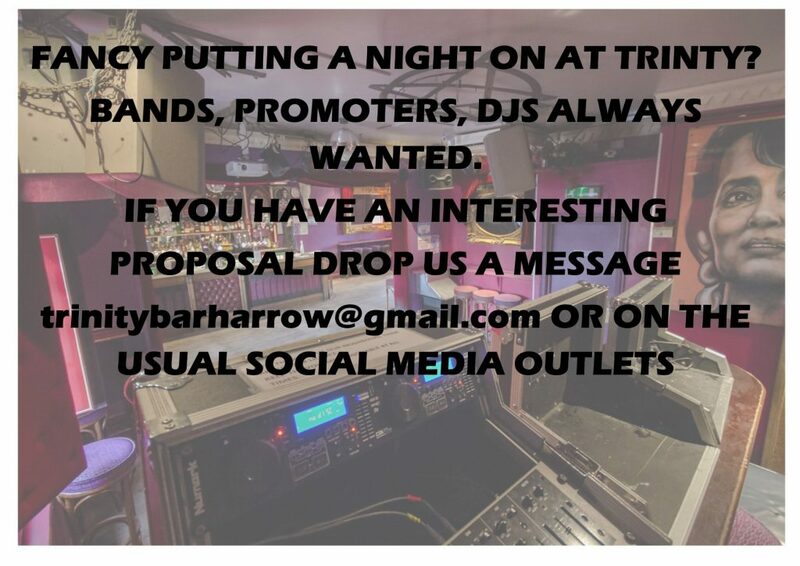 We are always on the look out for new bands, DJs or Promotors or if you have any other interesting proposals please do get in touch. And you can earn good money for doing so – who doesn’t need a bit extra in their back pocket? !